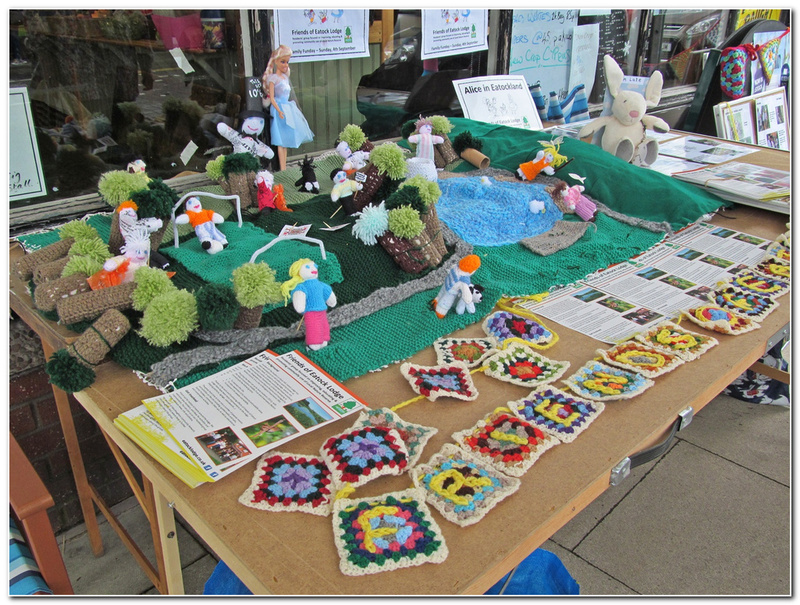 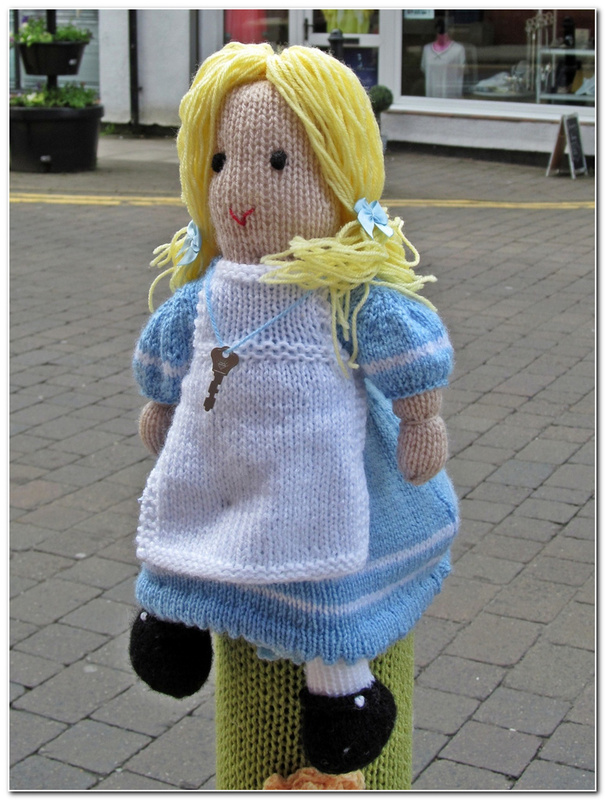 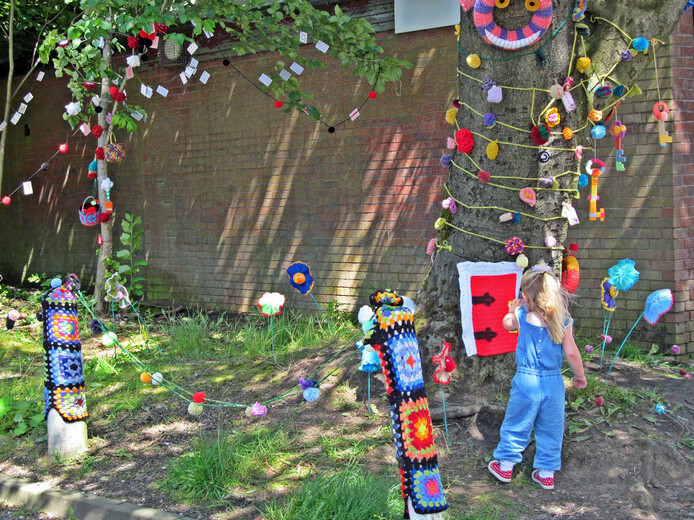 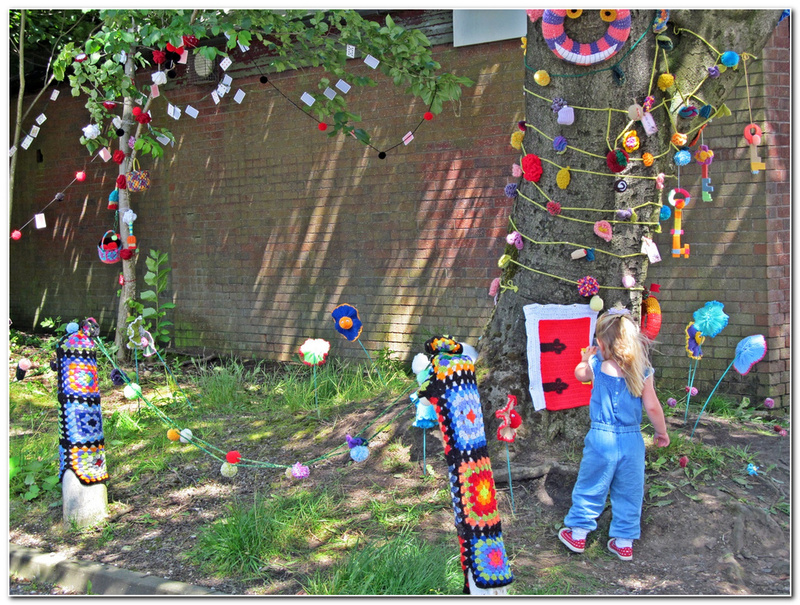 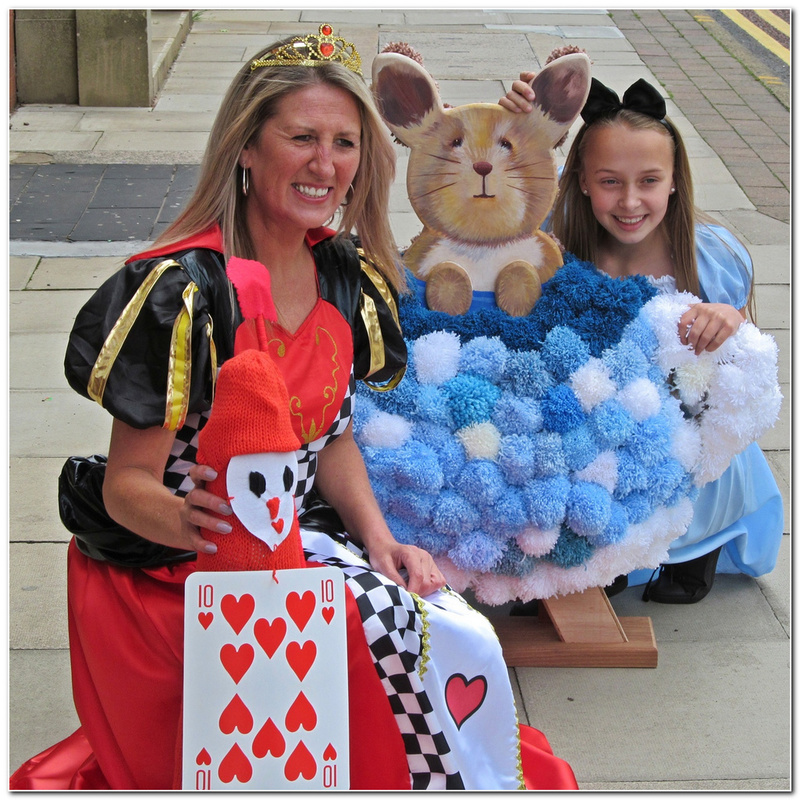 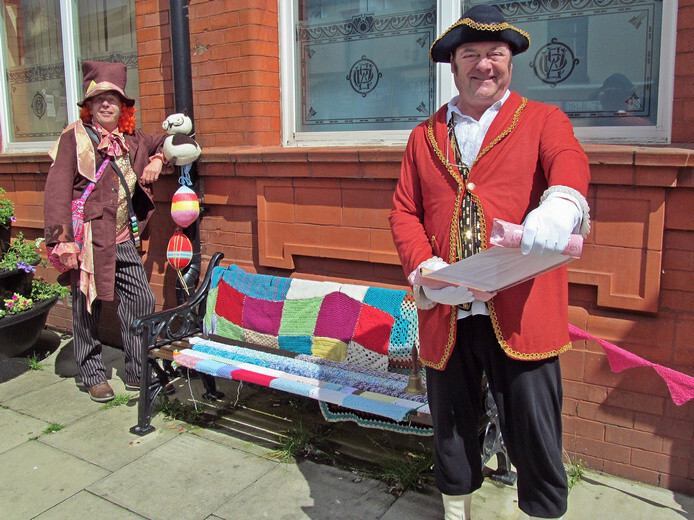 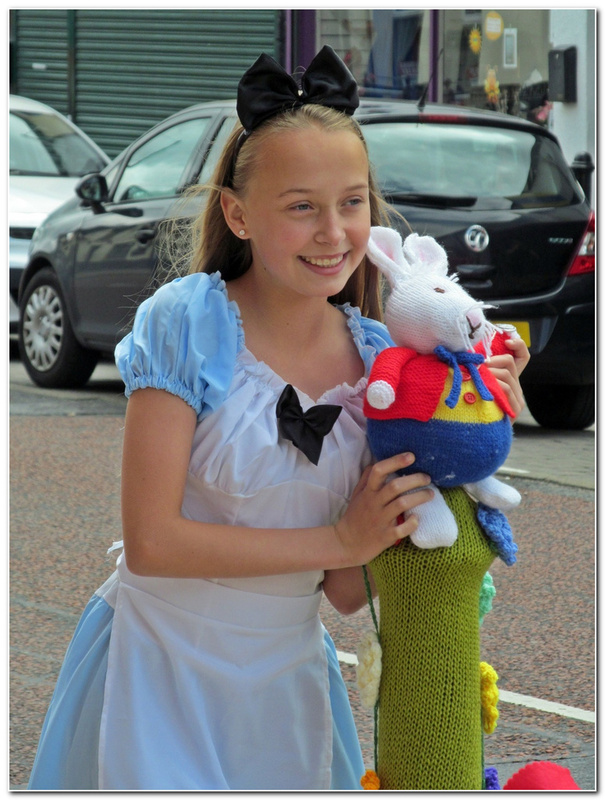 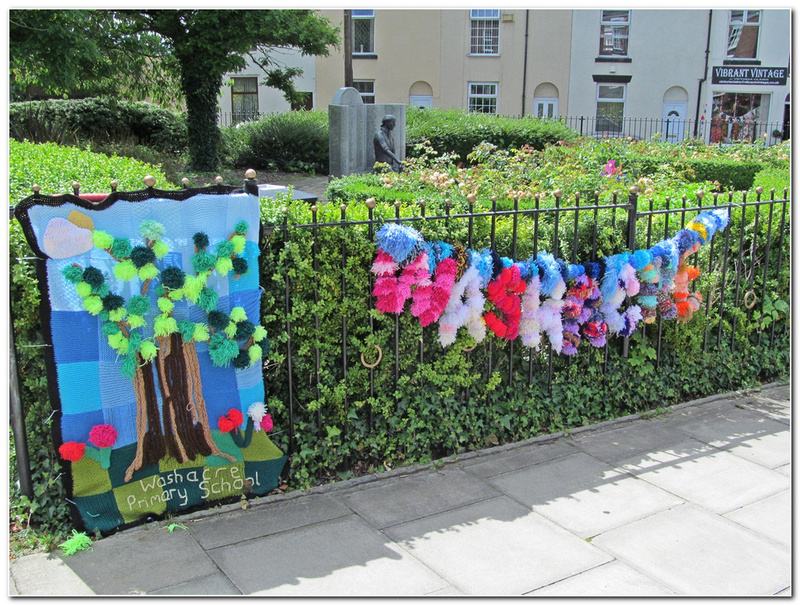 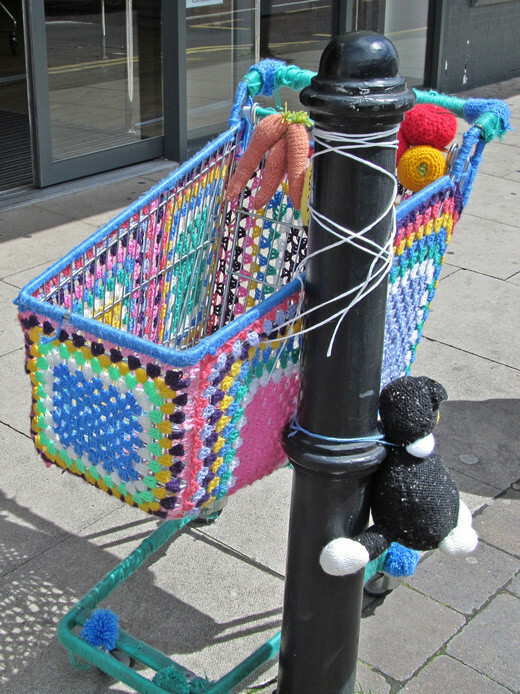 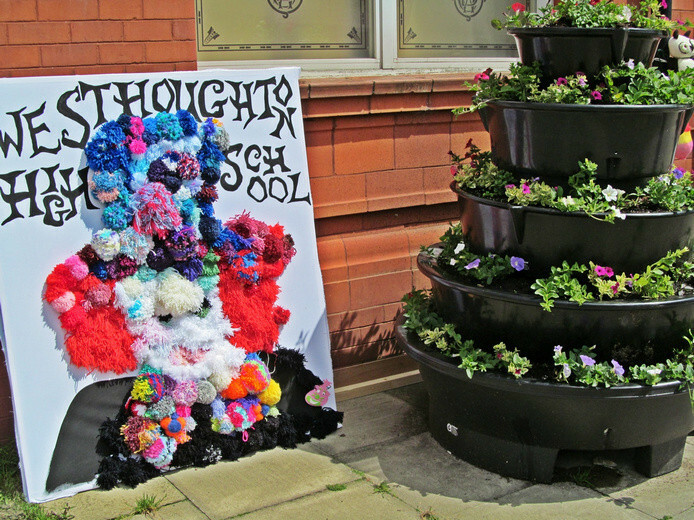 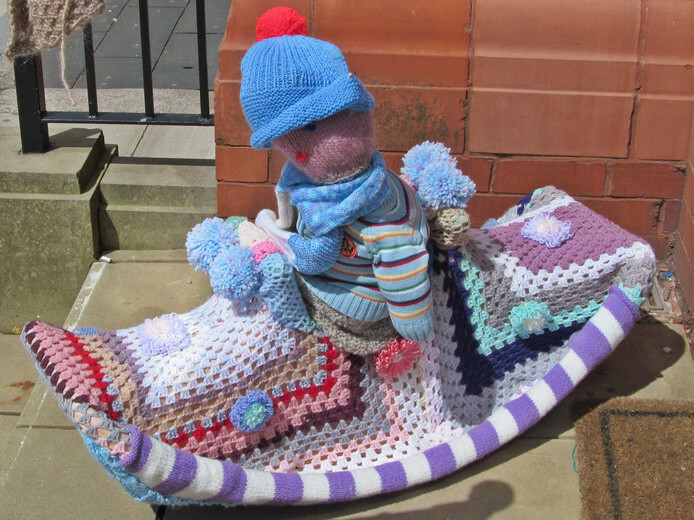 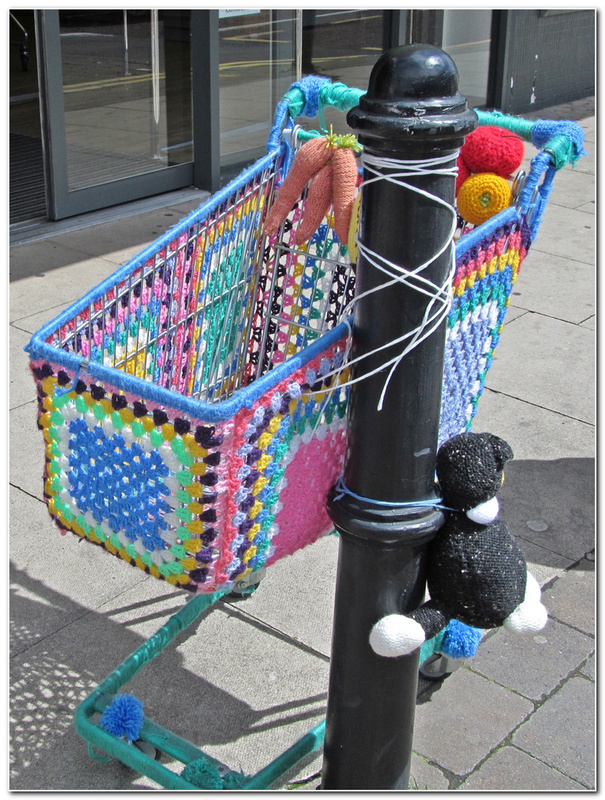 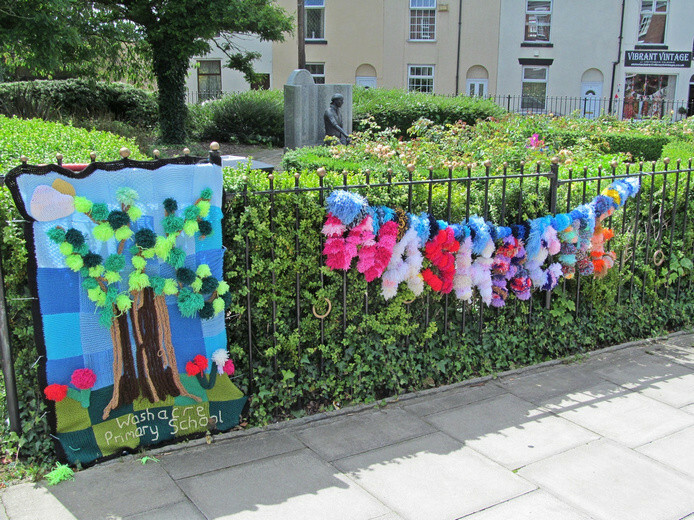 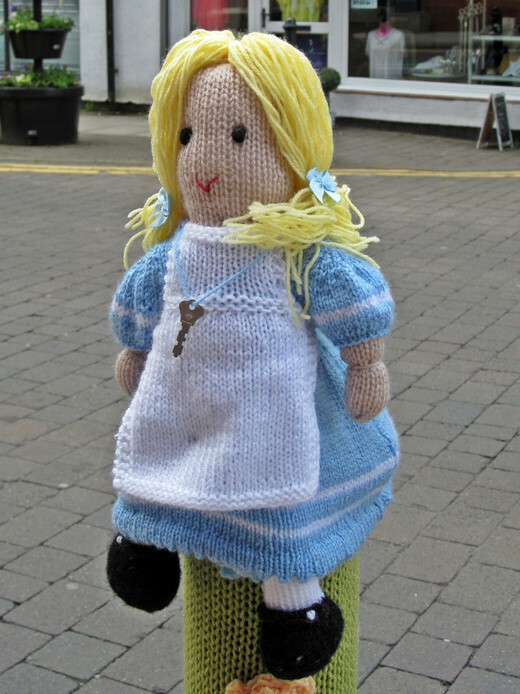 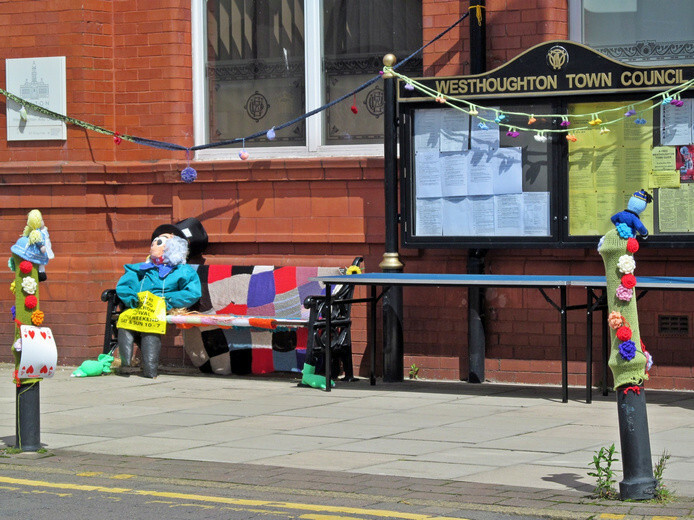 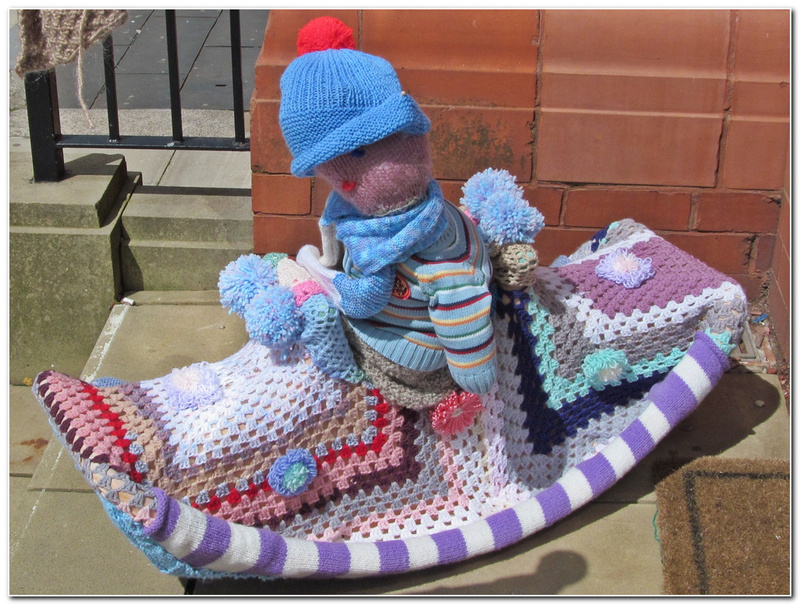 Westhoughton's second Yarn Bombing Festival built on success of the inaugural event, this time with an Alice in Wonderland theme, and a full programme of entertainment and other attractions over the two days. 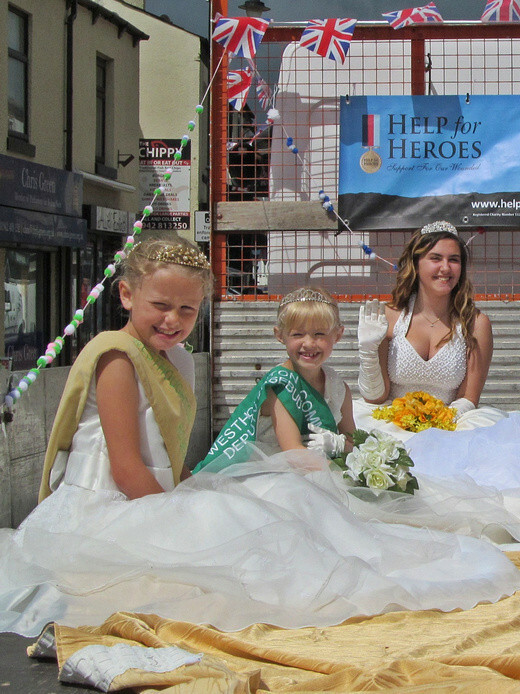 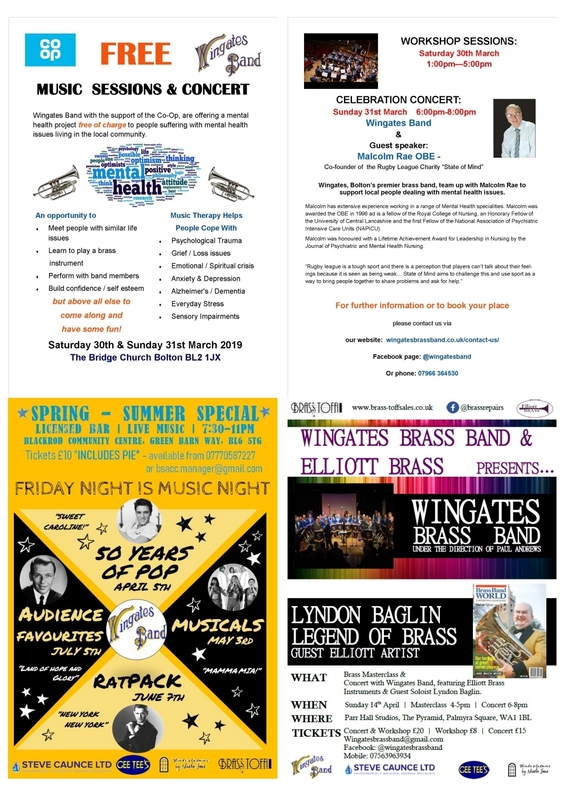 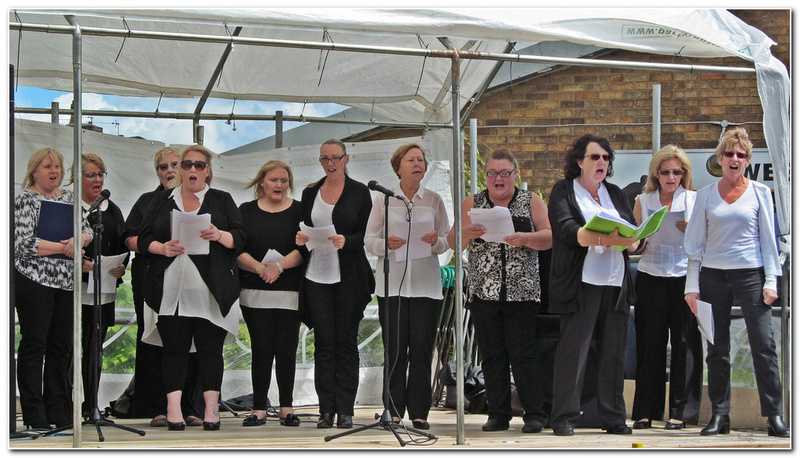 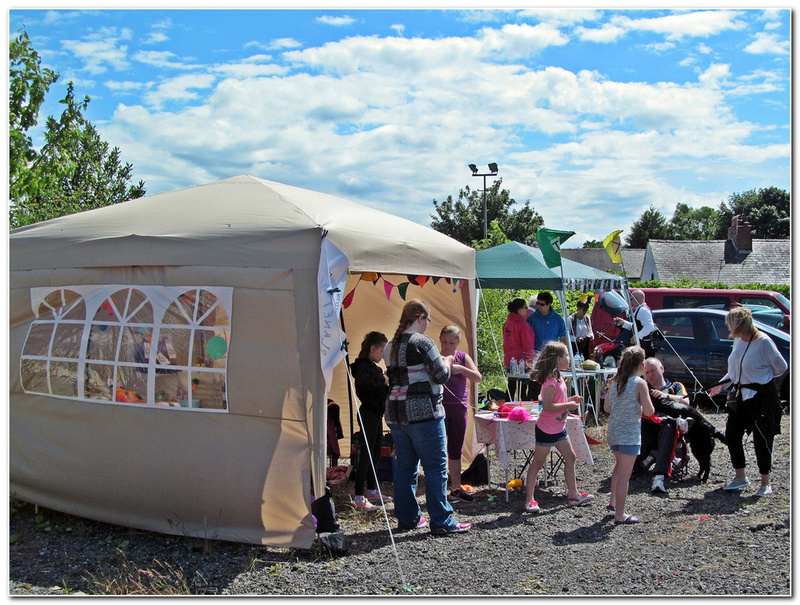 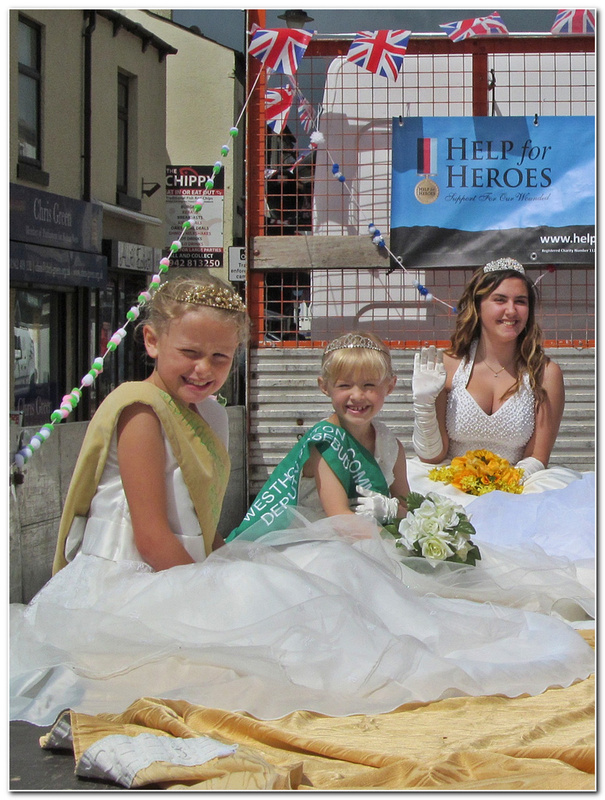 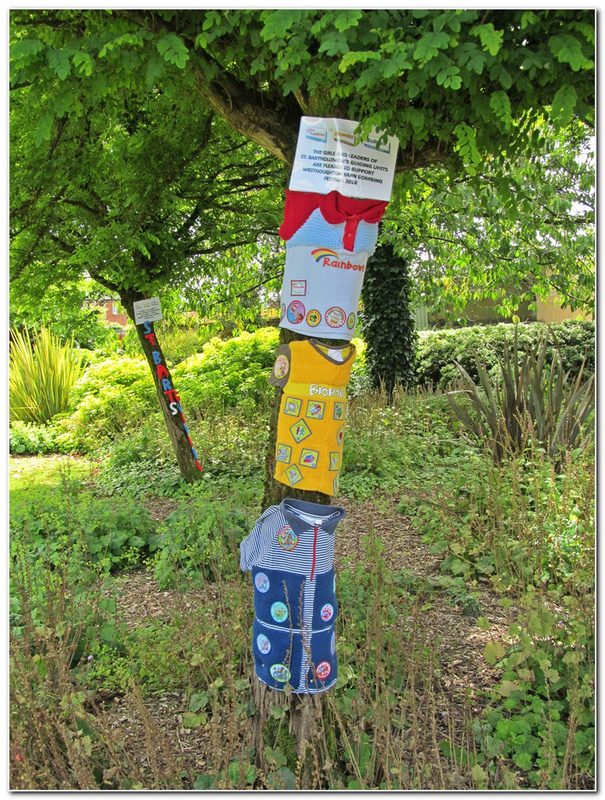 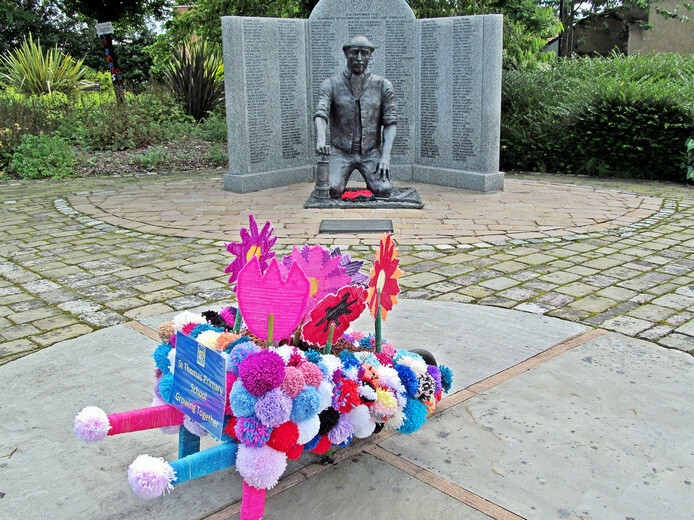 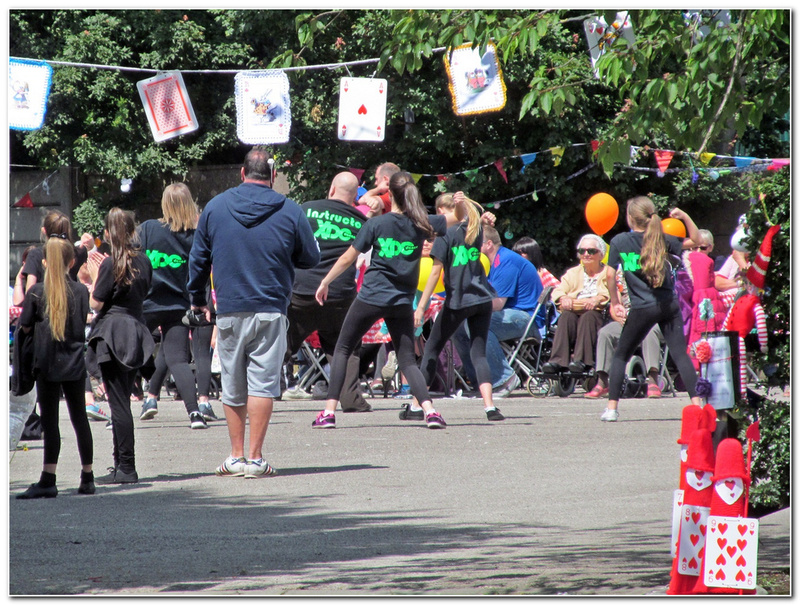 Colourful, entertaining, fun and of and for the community. 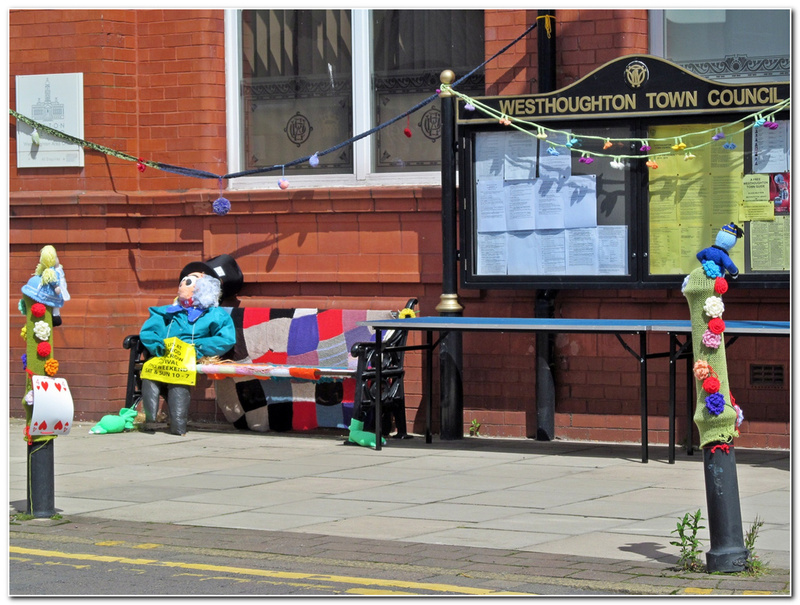 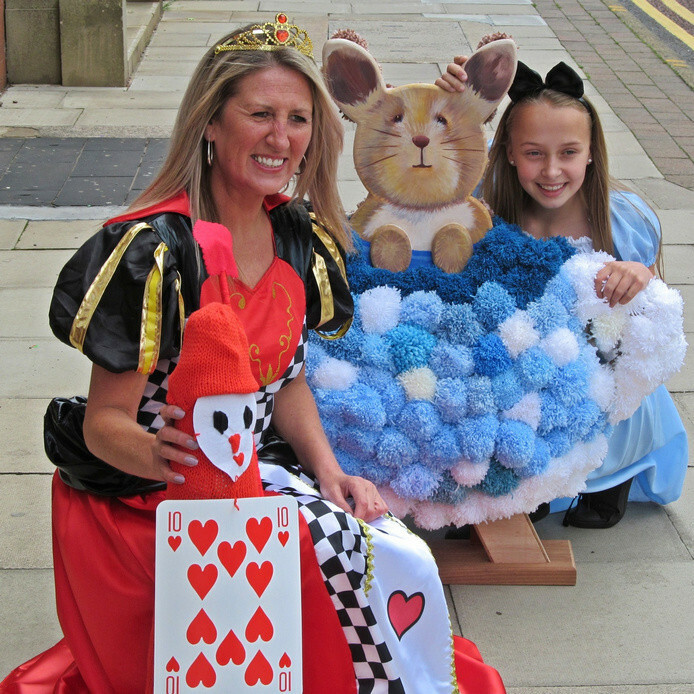 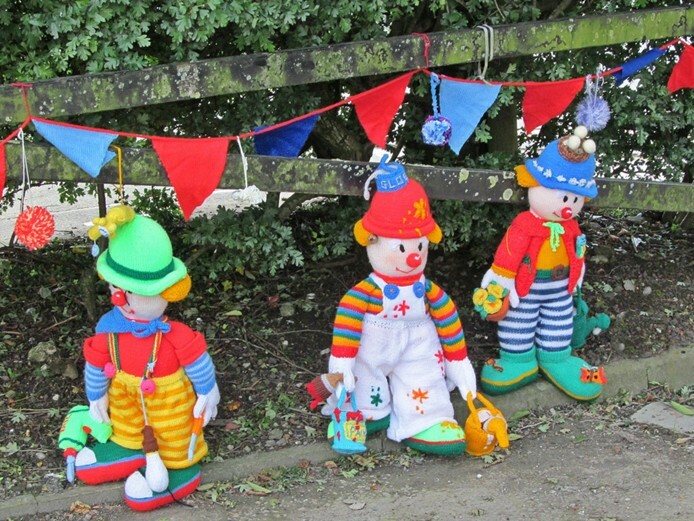 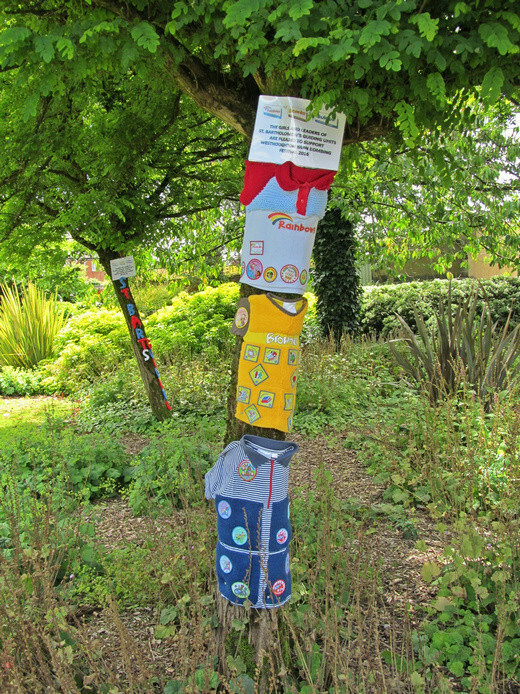 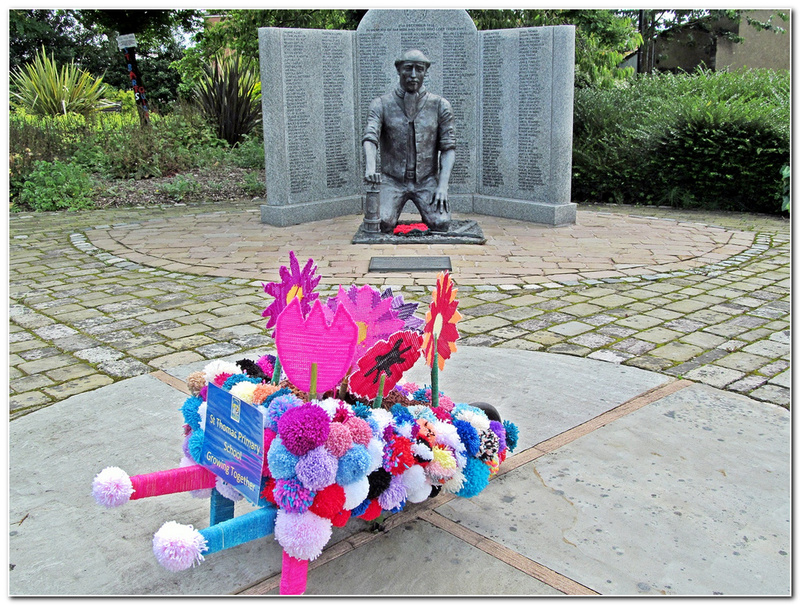 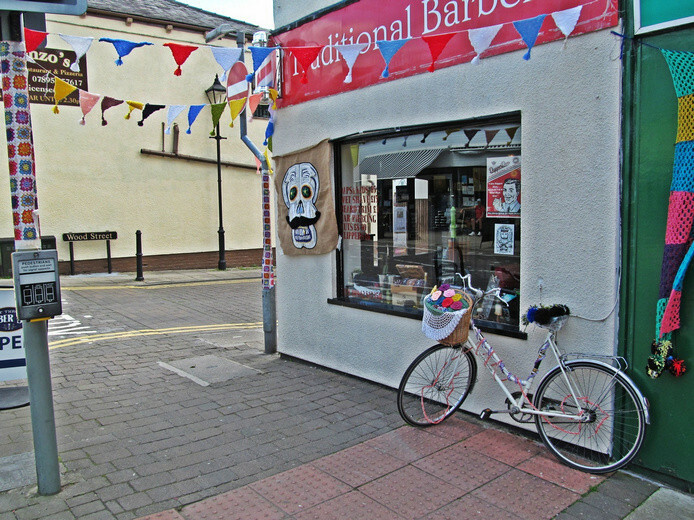 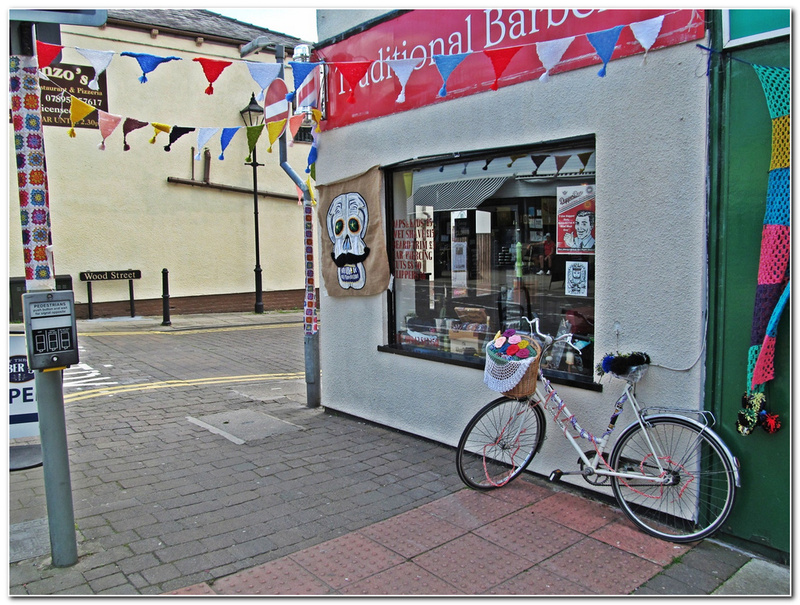 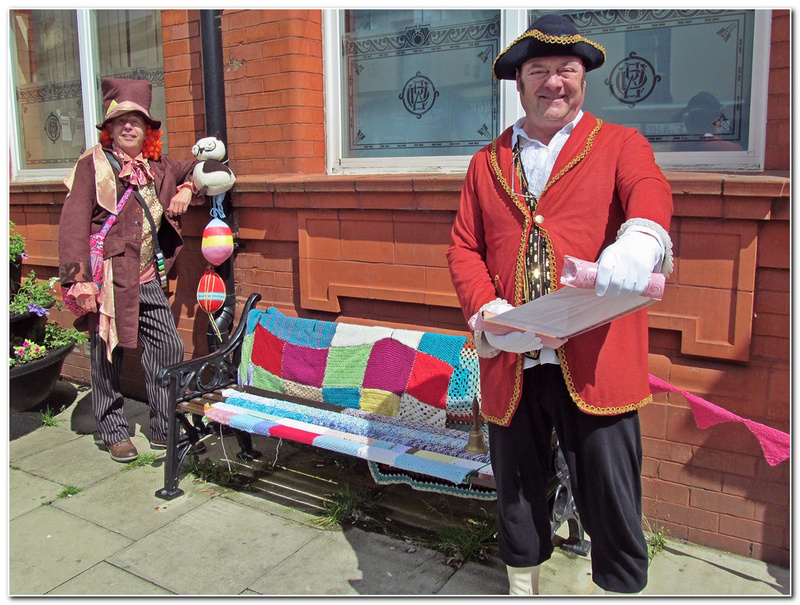 This year the displays promoting each other's event were exchanged with the Blackrod Scarecrow Festival organisers. 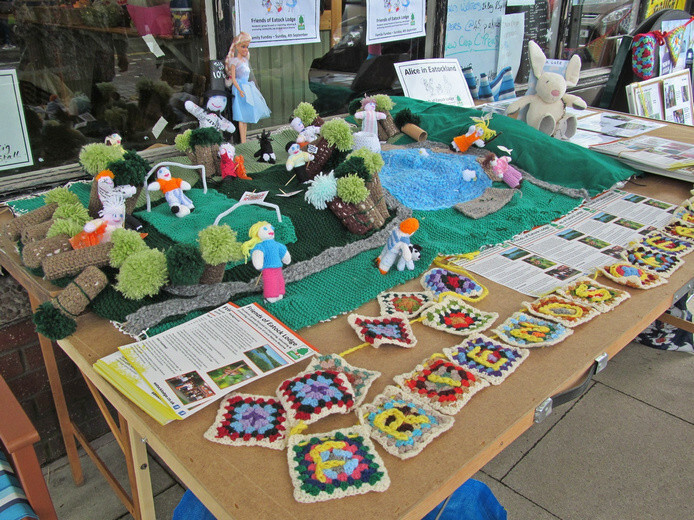 Once again there were some very impressive displays from community and business. 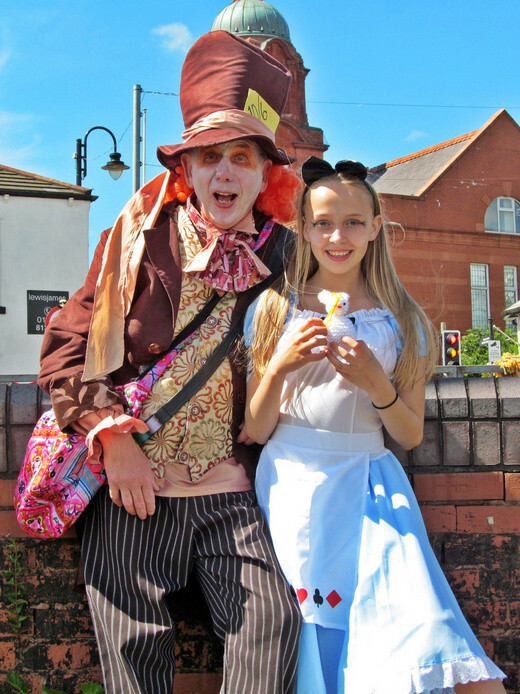 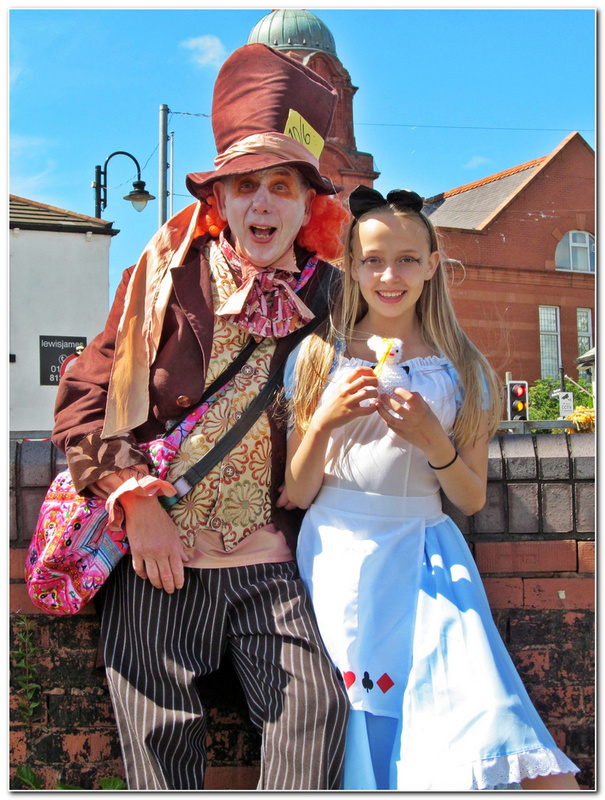 The Mad Hatter's Tea Party on Sunday was very popular with local children. 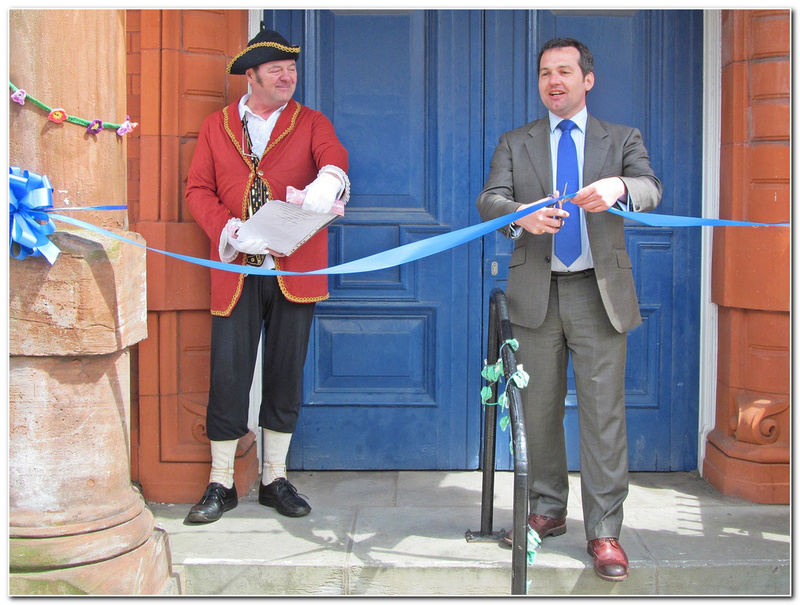 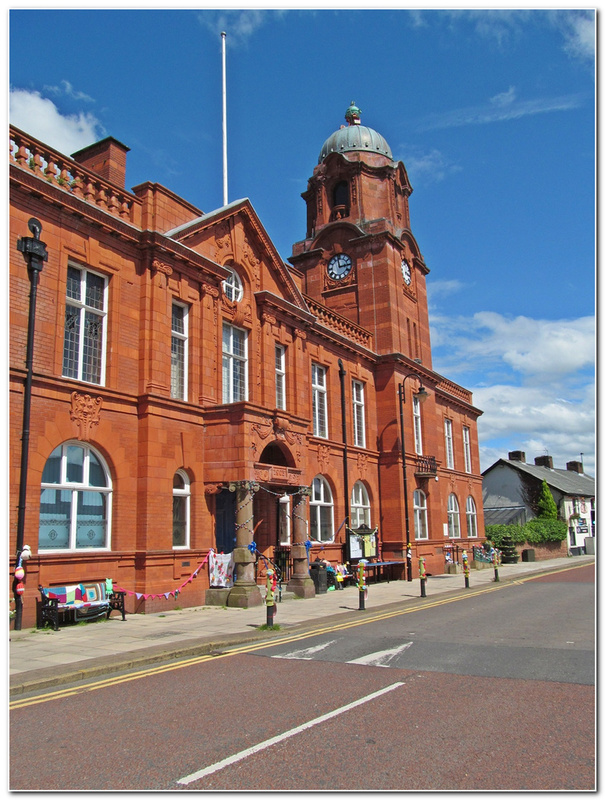 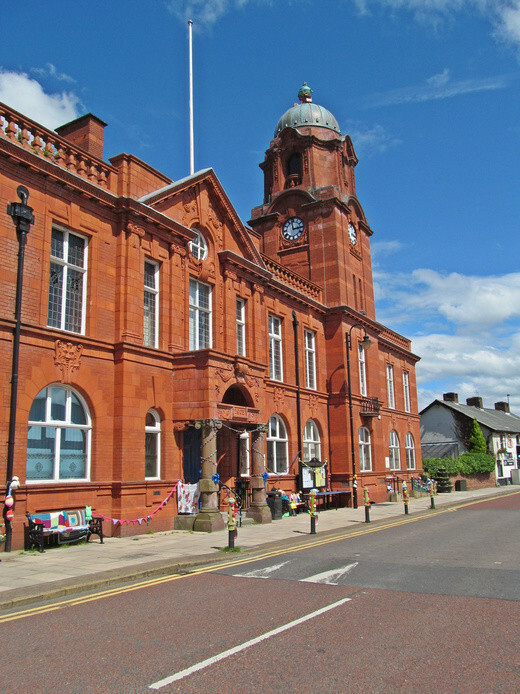 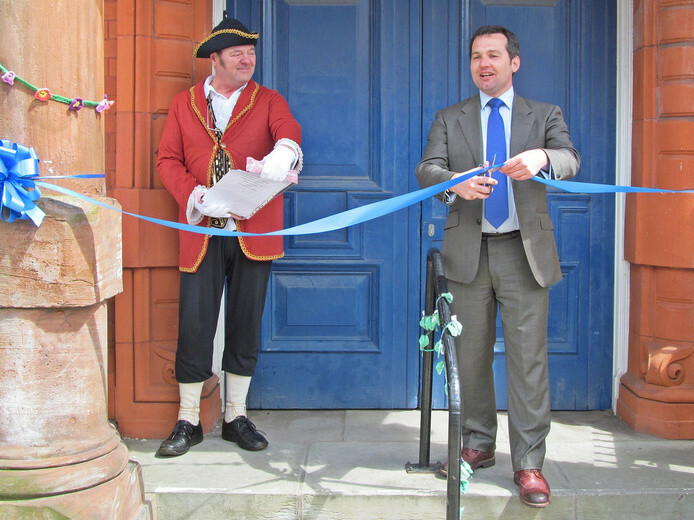 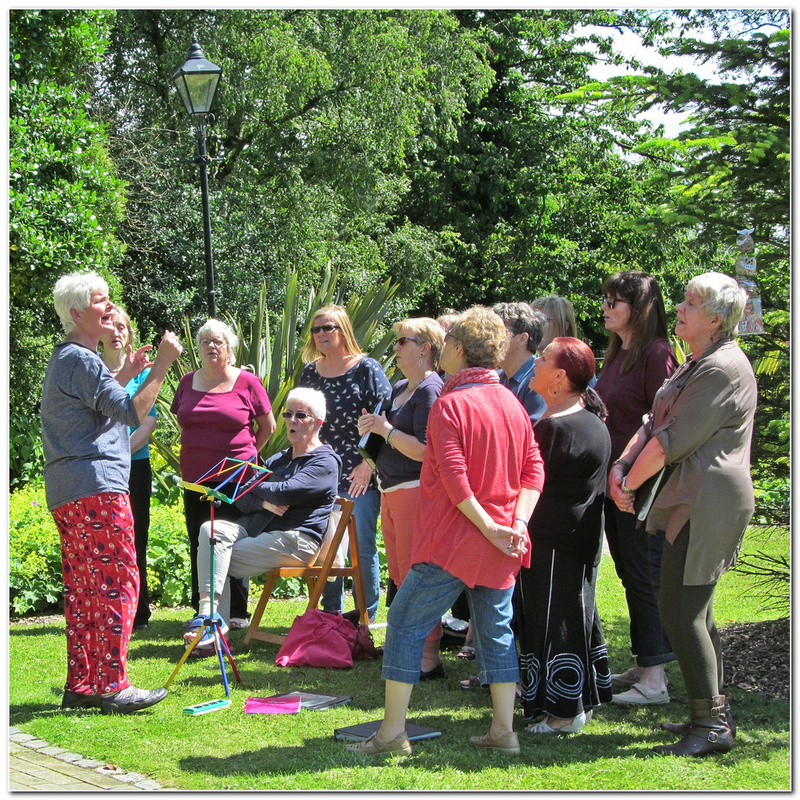 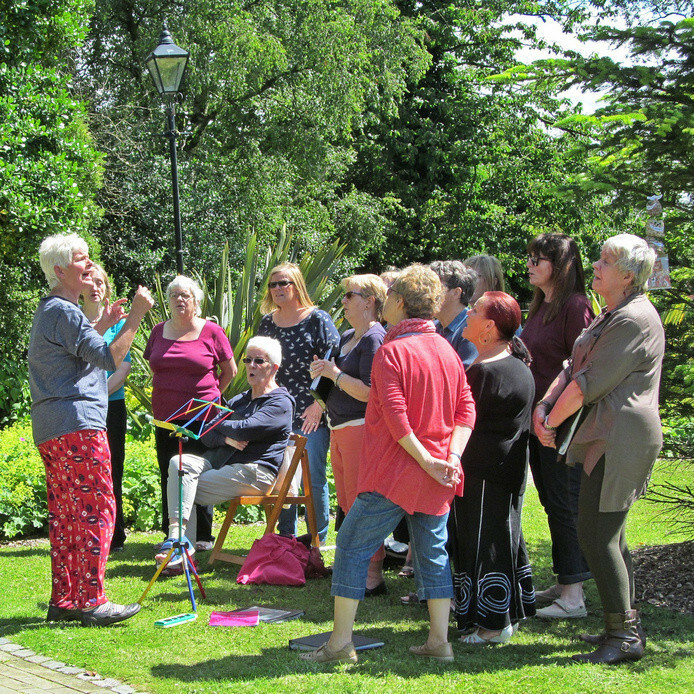 The Library was kept open all weekend for the Art Exhibition and art demonstrations. 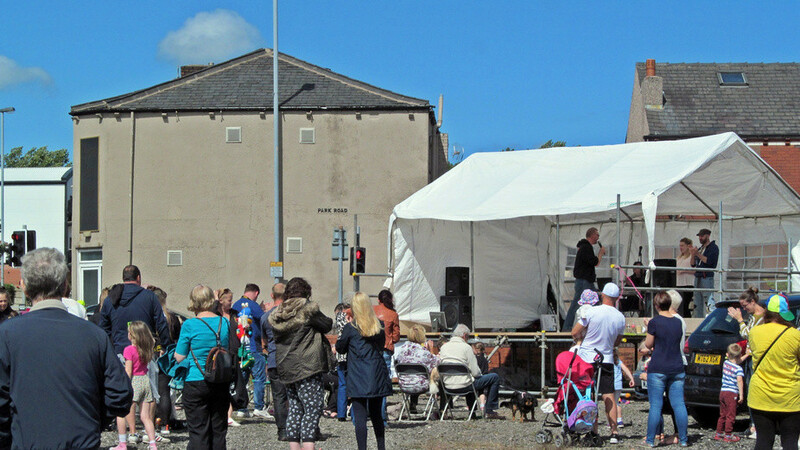 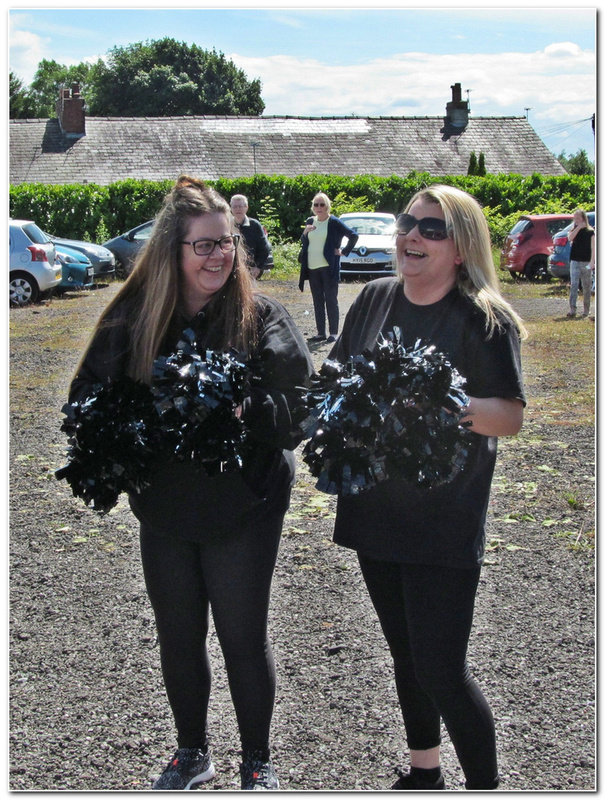 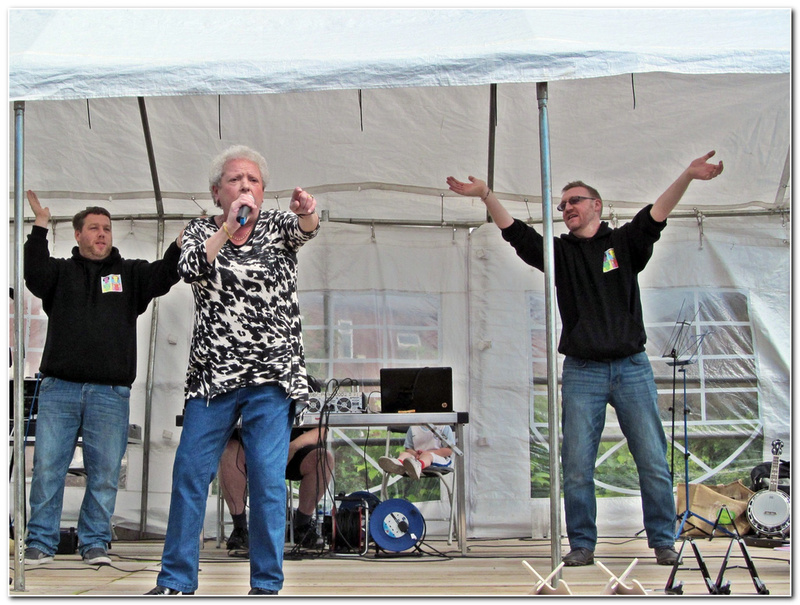 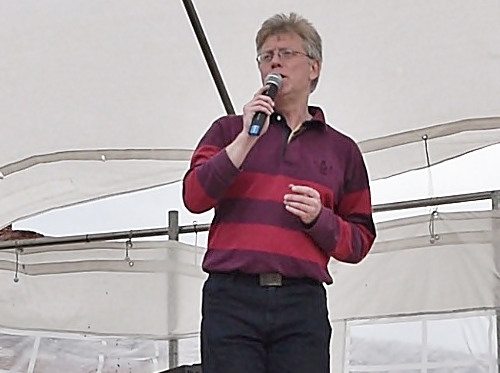 As with all outdoor events the weather can be an issue; Saturday was testing, especially during the entertainment - the show went on!. 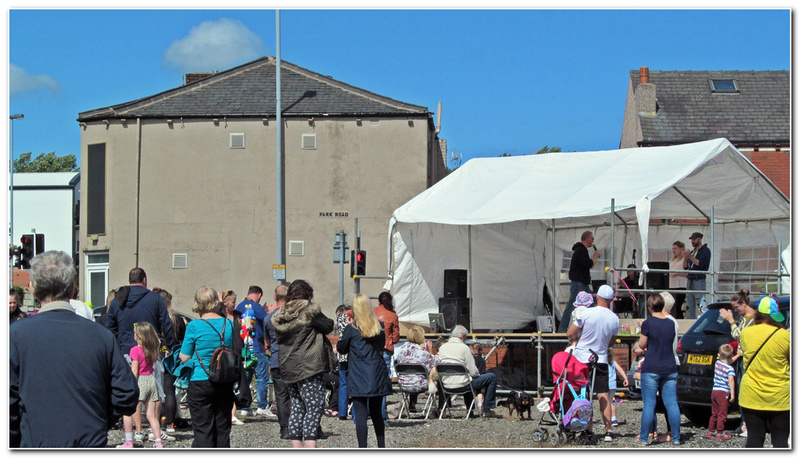 Better weather on the Sunday brought out the crowds. 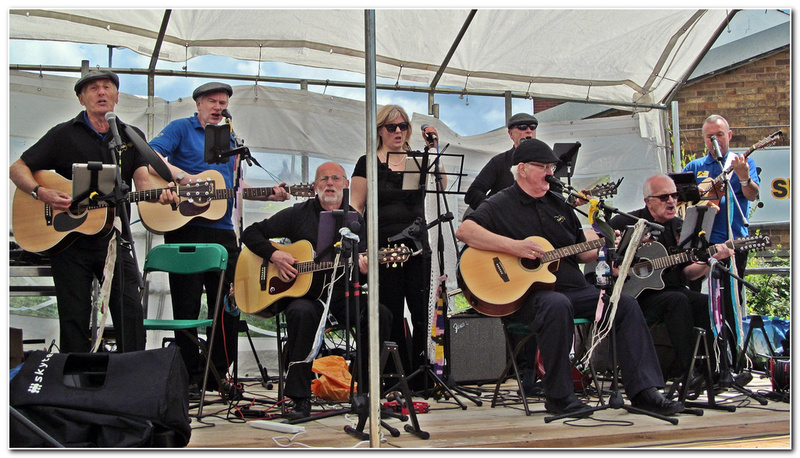 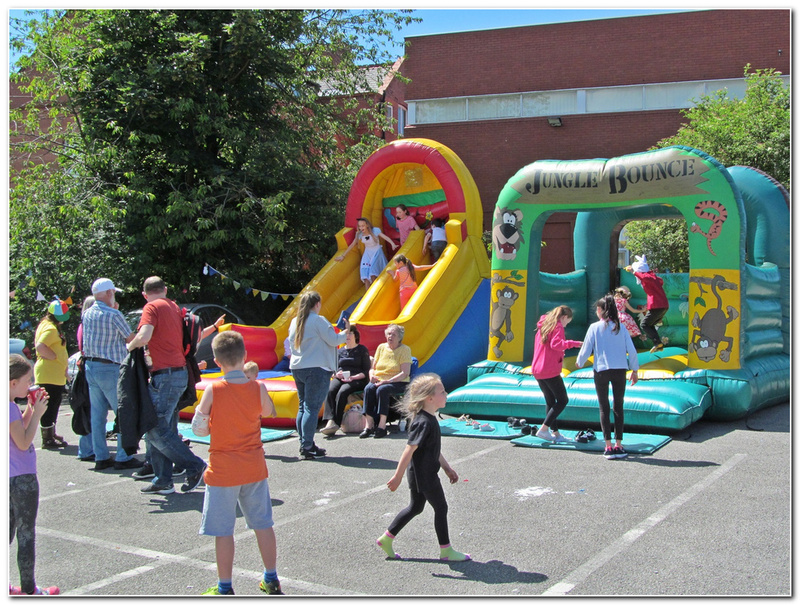 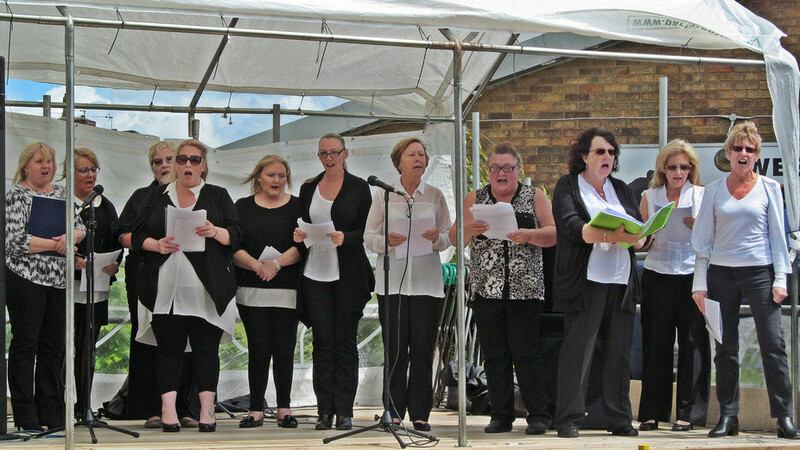 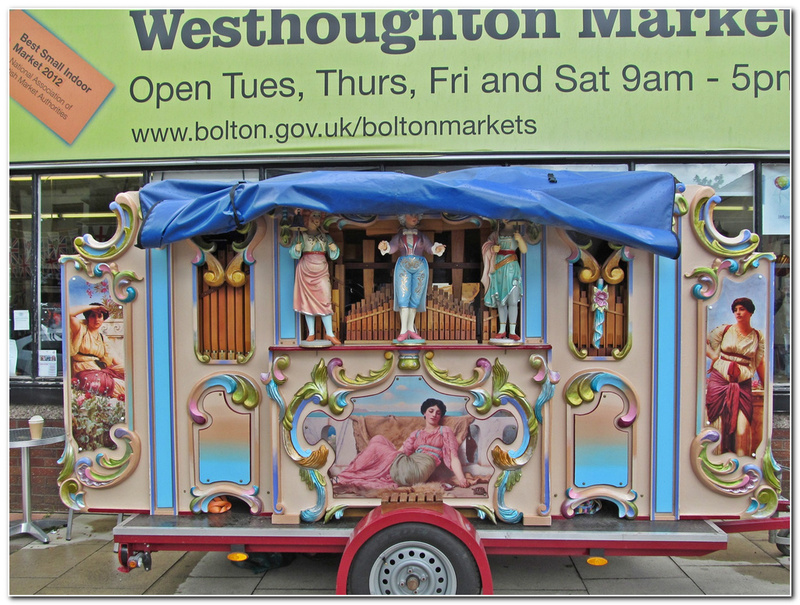 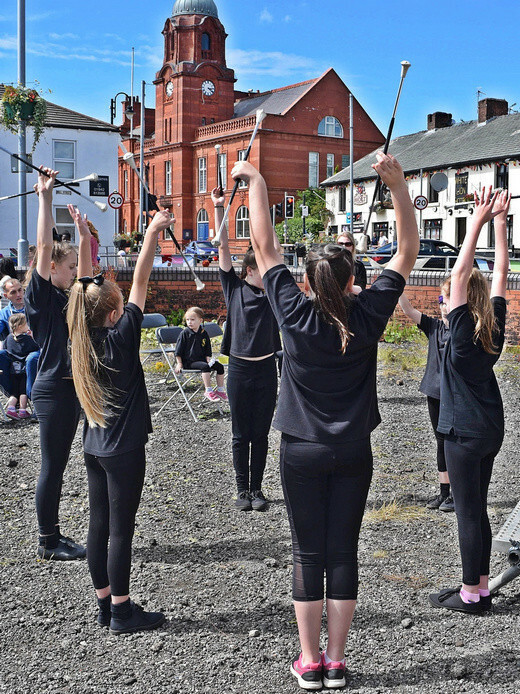 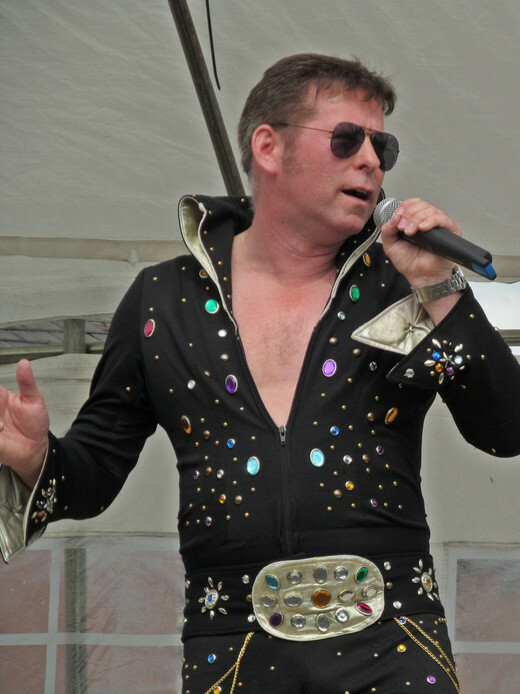 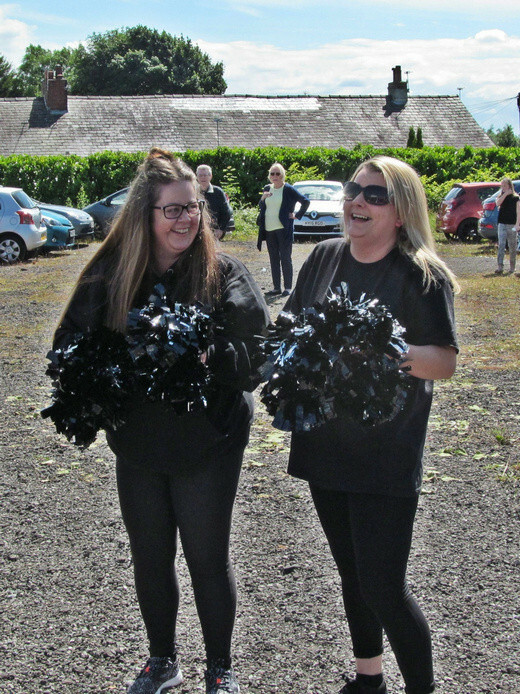 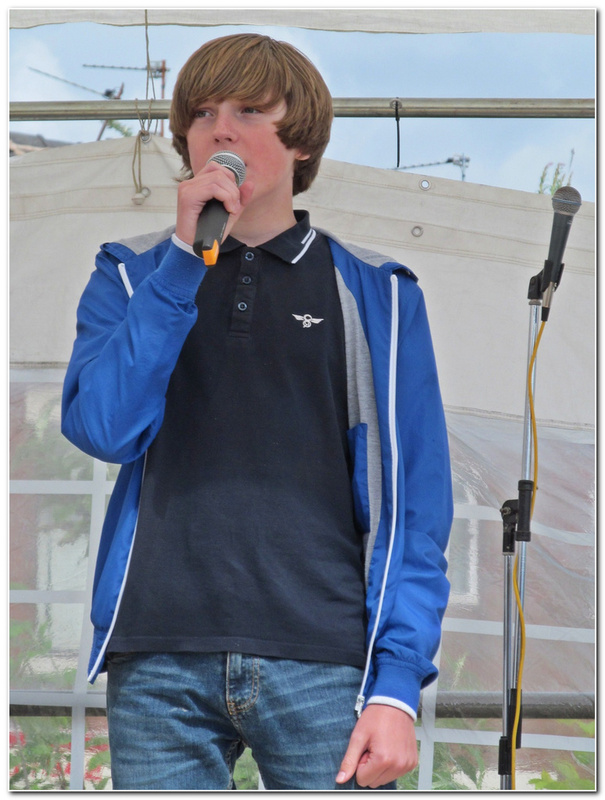 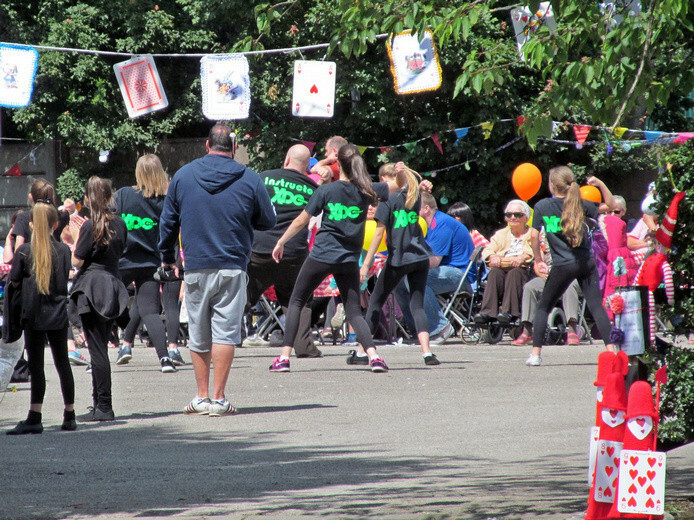 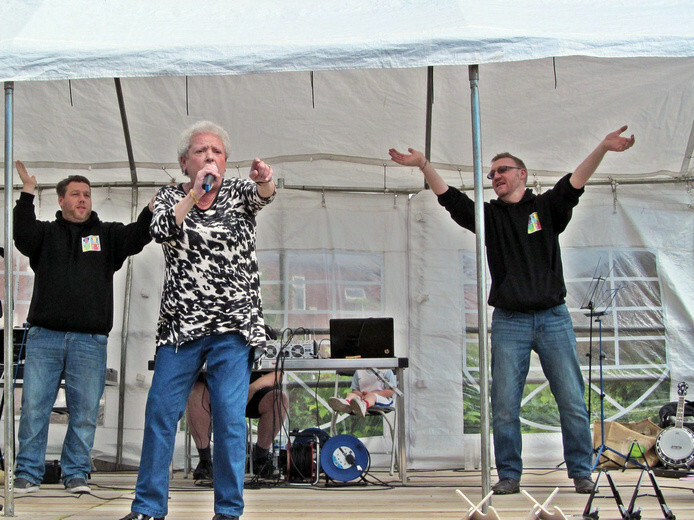 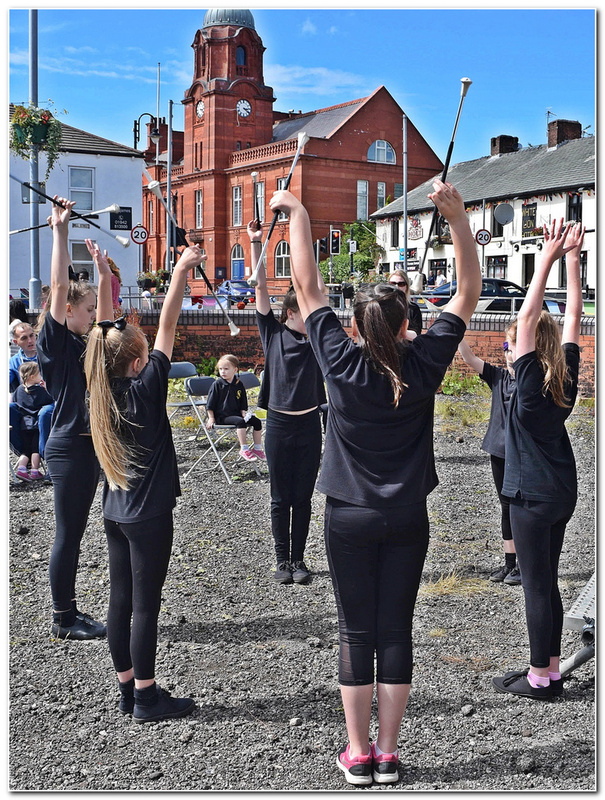 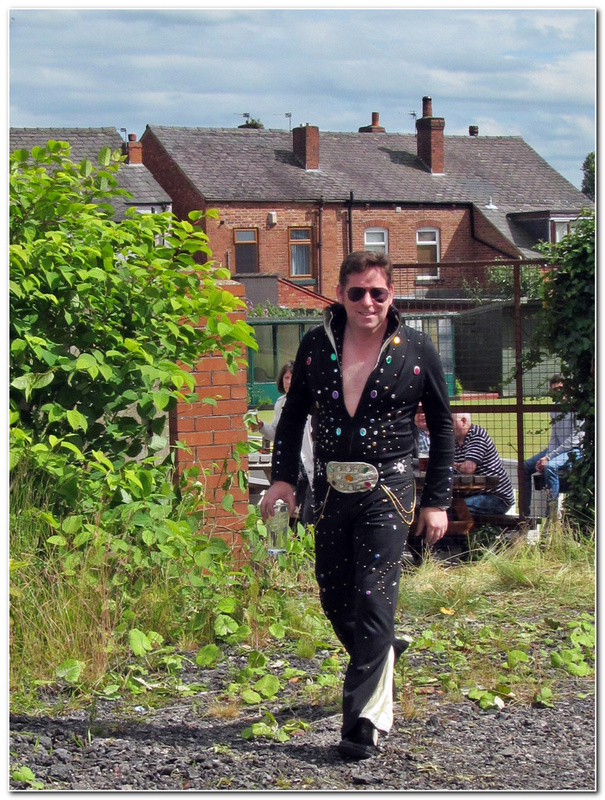 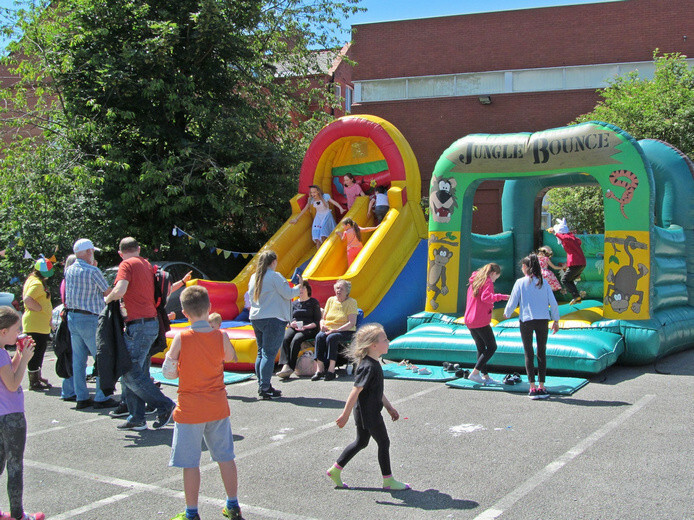 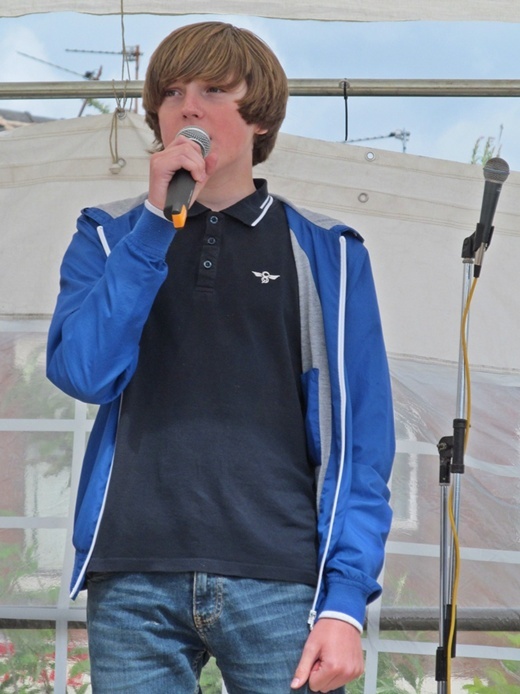 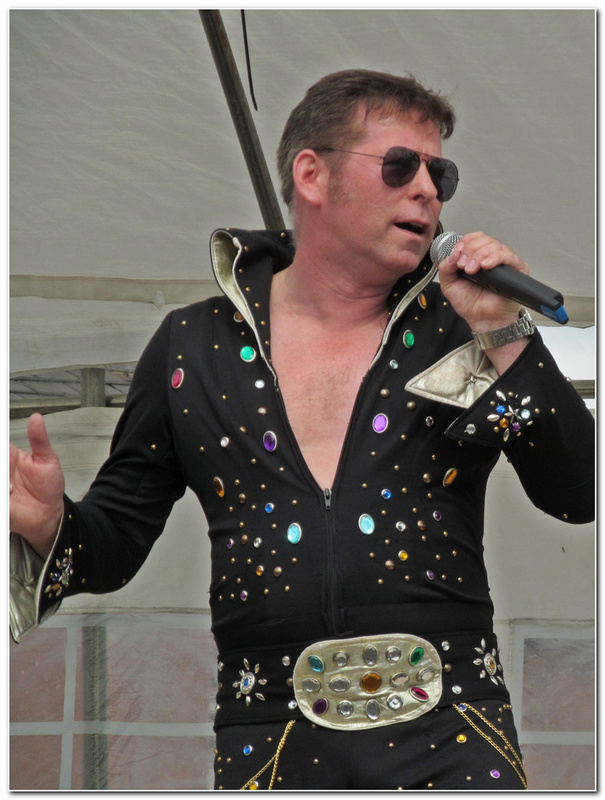 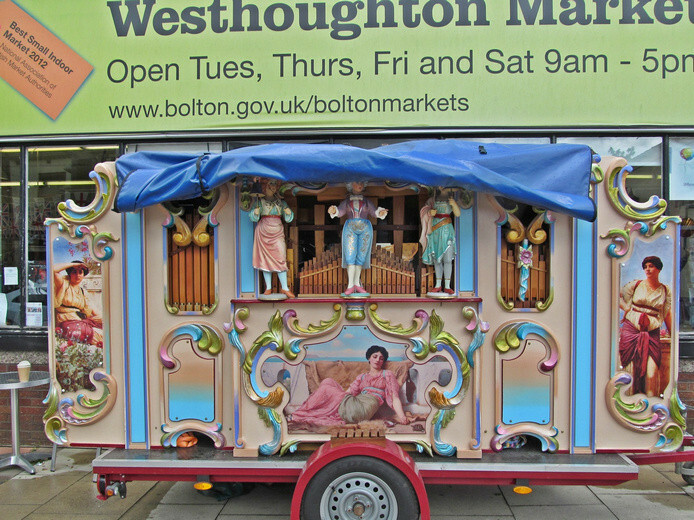 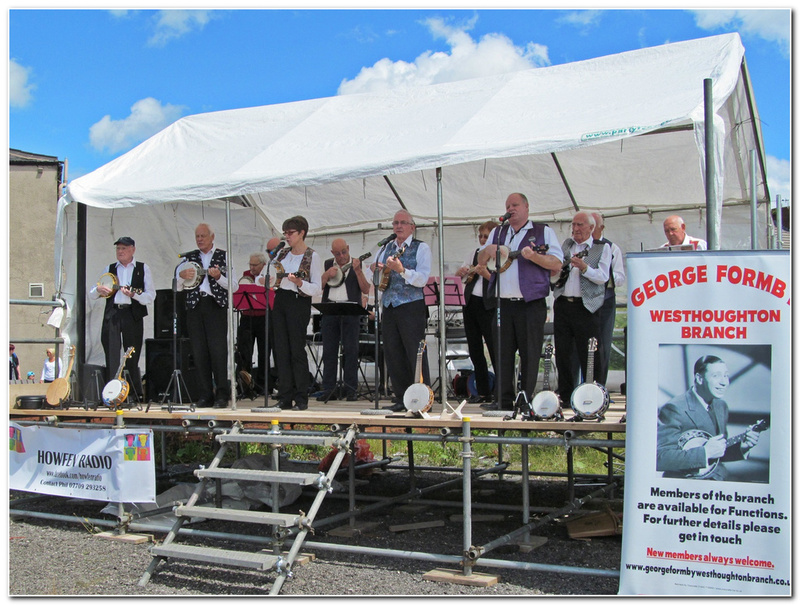 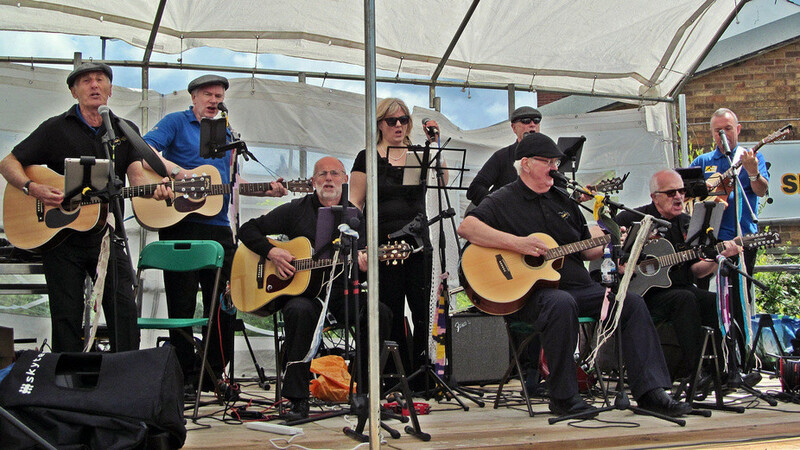 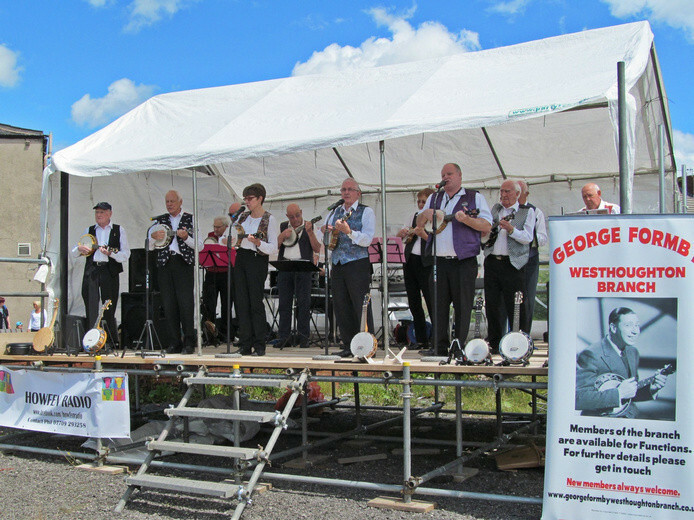 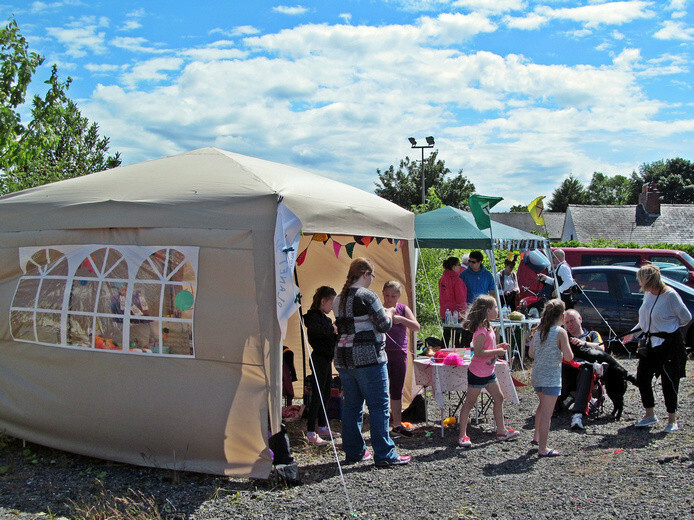 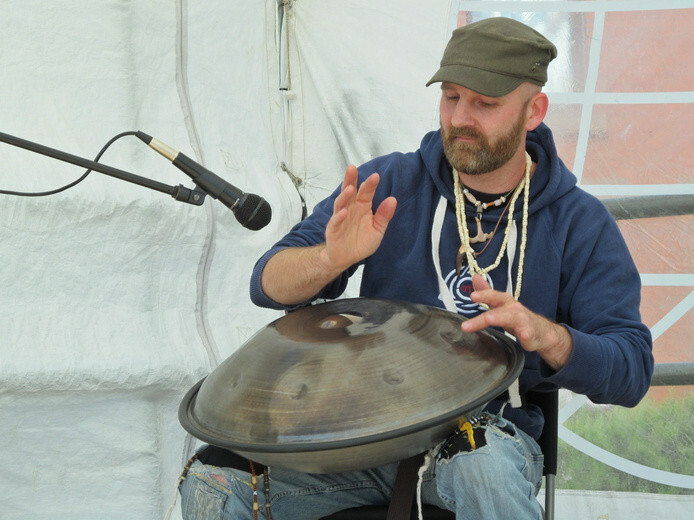 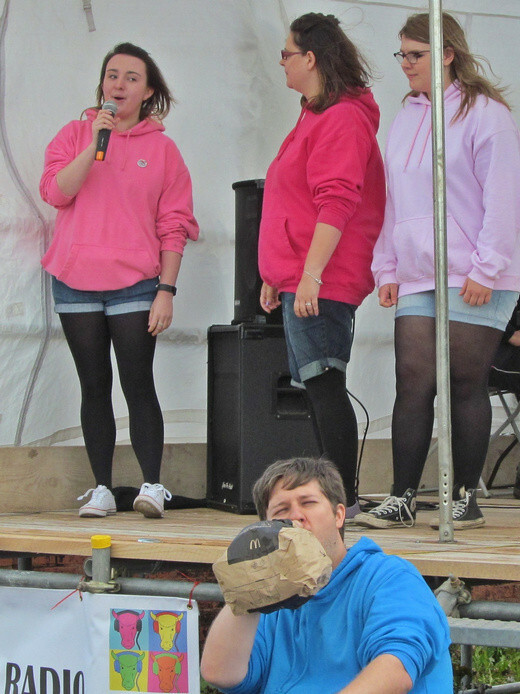 After months of preparations, organisers pleased to have put on event that showed Westhoughton at its best. 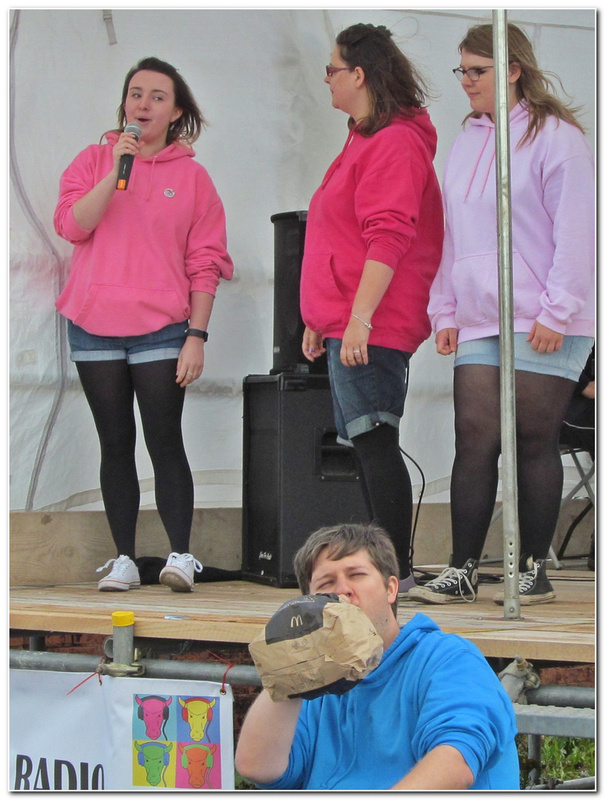 A taster of photos from the weekend below (click photos for a bigger image).